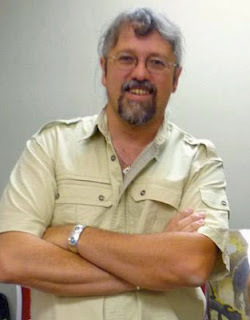 David Weatherly is a paranormal investigator and author. He’s been actively researching a wide range of paranormal weirdness for over 35 years, that means he started in his teens! 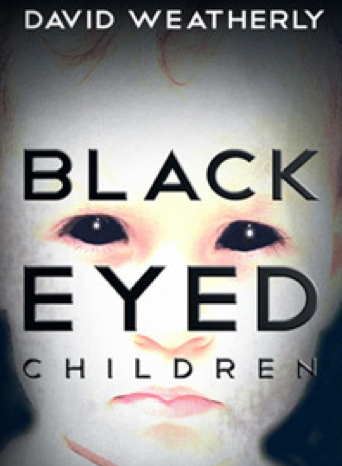 He is the author of the recent book The Black Eyed Children. Below is an excerpt from a glowing review by Nick Redfern. Just occasionally a book comes along that I don’t just recommend to people. Sometimes, I tell them they have to get a copy of it, no matter what! Here are links to his blog, his website and ordering his book. Please note: I apologize for the poor audio quality of this interview. The content is amazing, but the quality is poor. I encourage you to listen, it’s worth it! Great interview in spite of the fuzzy audio, Mike. A learned friend describe shamanism to me a few years ago and I've found myself following a path as well, but I would have never recognized it as such without his helpful input. I suppose one can be an inadvertent shaman. You've always sounded as though you were on the path as well. Funny, how so many people probably are and don't realize it until an adept points it out. I always assumed you included that in self description but were too humble to mention it. Loved how you and David linked the variety of paranormal experiences taking place in related experiences. Events in Point Pleasant come to mind, Mothman, ufos and other sightings which took place at the time. Since I have the floor, may latest experience took place in the spring. I was riding in the passenger seat on a drive home with my spouse on a country road which once housed a railroad track along side it. My eye was suddenly caught by an old passenger train roaring in the opposite direction and probably thirty feet above the ground. I kept silent as I watched it because I didn't want to make it disappear by saying anything. The windows on the train were dark and after about a minute, the train just faded away. When we got home, I quietly sat in a chair to try to put the ghost train in some sort of context when I got a call from a cousin saying her brother had committed suicide. I have no explanation for the train other than as a harbinger of news to come. I bookmarked David's site and find the research being done to create tulpas incredibly interesting. Thanks much for the heads up. Haven't finished hearing to the whole interview —the audio is not that bad, Mike. It didn't reach Blogtalk Radio level of crappiness :P— But re. stories about shadow people, you might enjoy knowing that the shadows will be soon arriving to a Cinema next to you. Yes - nothing is as bad as blog talk. I take real-deal pride in my audio qulity, so it bums me out if I approach the low level of other podcast shows. Thx for a really interesting blog/podcast :-). Great podcast. Didnt evend mind the sound quality. You have mention a couple of times that you record these podcast for your own "therapy". I think this is a huge strength and is probably why I find listening to these so enjoyable. Maybe its therapy for me to think andl listen to these subjects. Its the joy, passion and exitement that you convey that gives even darker subjects a positive vibe. And this is probably the reasons i have listened to some episodes more than once. Great Interview! At around the 20 minute mark, David shares a story about a young man from the 1950s who encountered a creepy child who insisted he was to come home with him. As he wrapped up the story he added one last detail and when i heard it chills went down my spine. When the young man became freaked out and ran he heard a scream that sounded "like a bobcat" behind him. As a child, in the summers, I used to sleep in a large screen house my father had built. It was detached from our house and I would have to cross the backyard to go inside. I would often sneak in and make myself a late night snack. Well, one night as i crossed the yard i heard the rustle of leaves in our woods. I looked and right at the edge of the fading yard light i could see something move behind a tree. i stopped and strained to focus my eyes. I then recognized the shape of a leg protruding from the base of the tree. Someone (or something) was sitting behind the tree and it pulled its leg in and adjusted itself in an attempt to hide. But it was too late, i had already seen it. I called out my neighbor's name, who i nervously thought may have been playing a trick on me. After i asked his name out loud it dawned on me that he was away and i knew it wasn't him. That's when i heard more rustling behind the tree. I turned and ran as fast as i possibly could towards the main house and that's when i heard it. It was this cry/scream from the woods like the sound of a fisher cat. I had never been so scared in my whole life. I jumped up the back deck stairs without touching a single stair... clearing 4 or 5 stairs in a single, adrenaline boosted leap. Now, here is another crazy thing. I remember getting to the back door. But i dont remember anything else. I didnt wake my parents to tell them someone was in the backyard etc. etc. Granted, it happened over 25 years ago, but if you asked me now "What do you think you did next? ", my answer would be, "well, i guess i just went inside and went to bed." That would not be a normal reaction to an intruder in the yard screaming like a banshee would it?!!! since then, i have asked every former kid from my old neighborhood if they played a joke on me that night, and not one fessed up to it... actually, most of them were pretty creeped out that i even asked. Ha! I share my stories only with a few trusted friends... or here, on your blog. It was not mentioned, the synchronicity, the fact that Nick Redfern and The author of the Shadow not only share the ability to "Do Easy" with writing but also Nick has stated his only paranormal experience was with a hated cloaked being. So was Nick and the Author of the Shadow both given inspiration by this same entity?